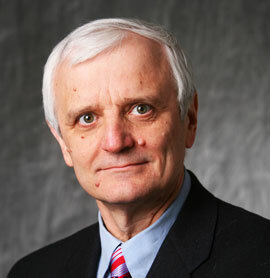 Dr. Boleslaw K. Szymanski is the Claire and Roland Schmitt Distinguished Professor at the Department of Computer Science and the Director of the ARL Social and Cognitive Networks Academic Research Center at the Rensselaer Polytechnic Institute. He received his Ph.D. in Computer Science from National Academy of Sciences in Warsaw, Poland, in 1976. Dr. Szymanski published over four hundred scientific articles. He is a foreign member of the National Academy of Science in Poland, an IEEE Fellow and a member of the IEEE Computer Society, and Association for Computing Machinery for which he was National Lecturer. He received the Wiley Distinguished Faculty Award in 2003 and the Wilkes Medal of British Computer Society in 2009. His research interests cover the broad area of network science with current focus on social and computer networks. T. Jia, D. Wang, and B.K. Szymanski, Quantifying patterns of research-interest evolution, Nature Human Behaviour 1(4):0078, 2017. J. Xie, S. Kelly, and B.K. Szymanski, Overlapping Community Detection in Networks: the State of the Art and Comparative Study, ACM Computing Surveys 45(4):43, 2013. Failure dynamics of the global risk network, Boleslaw K. Szymanski, Xin Lin, Andrea Asztalos, and Sameet Sreenivasan, Nature Scientific Reports 5:10998, June 18, 2015.